Add some oil in a pan, in a low heat roast the garlic until it becomes light brown. Turn off the fire and let the remaining heat cook the garlic into golden brown. Set it aside. In a different pan, add some oil. Fry the dried squid strips first, then the dried dilis. Set them aside. On the same pan, add some more oil if needed, then saute the onion. Then add in the dried small shrimps. Cook for about 2 minutes. Then add in the mixed veggies. Cook for about 5 minutes. Add the cooked rice, give it a good mixing. Then add in the roasted garlic. And then add the fried dried squid strips and dried dilis. Season with salt and pepper. Create a well (hole) at the center of the pan. Pour in the eggs and cook. Once the eggs start to cook, mix it evenly with the rest of the ingredients. Give it a final mix. 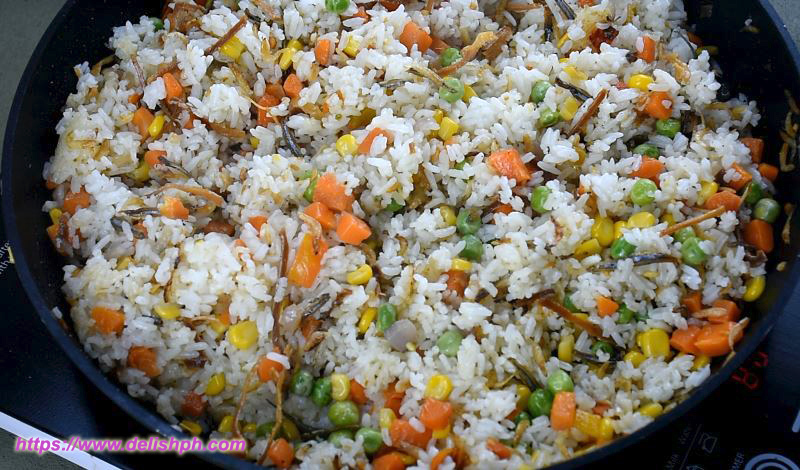 This is one of my favorite garlic fried rice. 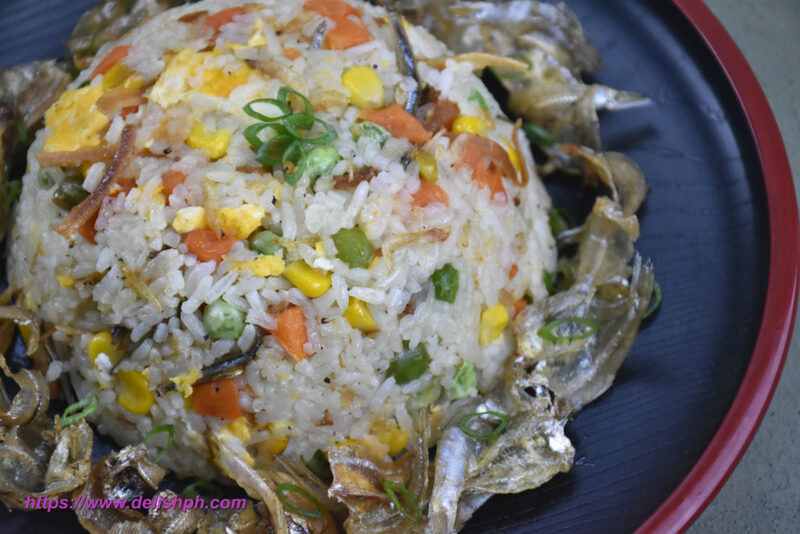 Since we have a lot of dried seafood available in Iloilo, it’s never hard to make this at home. We will also be adding some mixed veggies to add more color to the dish and make it even more enticing.